There are bulldog statuettes by the front door of many homes in Athens, Georgia, home of the UGA bulldogs. Of course, this bulldog has to be red and black, the colors of the University of Georgia. But these are not the “Dawgs” we are referring to. There are 4 feet tall statues of bulldogs sprinkled throughout the town. These “Dawgs” stand guard all around town. The project started as a public art exhibit in 2003 by the Athens-Oconee Junior Women’s Club. The original statues were painted by local artists and in 2010 they were auctioned and the proceeds donated to AIDS. Since then there are even more “Dawg” statues in the Athens area. Each one is unique. The following list is a small sampling of the “Dawgs” at the University of Georgia. After all, Athens is the home of the Bulldogs! * A sick Dawg is located inside the pharmacy school on East Campus. Poor thing has an ice pack on his head and a thermometer in his mouth with bandages on his legs. * In the downtown area, the ABC Dawg is covered in books to highlight the importance of reading. * Southern Surplus Building Materials on Atlanta highway has an Elvis Inspired Dawg. * Archie, painted by members of the UGA Arch Society is formally dressed in a suit, red and black of course. He stands guard at the Arch on the UGA campus. * AT&T’s baby blue Dawg stands guard in front of their building on Prince Ave.
* The Athens church on Huntington Ave. has a Dawg painted blue that highlights the Athens night skyline. * BB&T Dawg sits outside of the bank in downtown Athens ready for the next football game. * The Dawg at Robins Federal Credit Union on Broad Street sits ready with his white wig to give financial advice to all who enter. * Georgia Power in Athens has a Dawg who is ready for action in a full repairman’s outfit. * Five Points Eye Care Center on Milledge Ave. commissioned a glasses-wearing Dawg for their office. 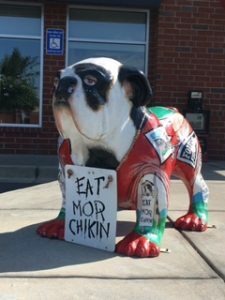 * The eat more chicken Dawg stands guard on Barnett Shoals Rd in front of the Chick-Fil-A. * Jittery Joe’s Dawg has flowers all over its torso opening into coffee cups. Flower Power or is it just the caffeine? In 1968, 313 acres were set aside on Milledge Ave. in Athens for the State Botanical Garden of Georgia. 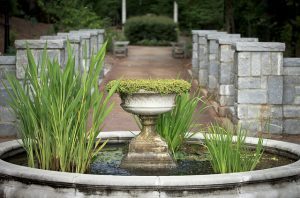 It is only fitting that the gardens are located in Athens, home to the University of Georgia. There is no fee for admission and it is open daily. The State Botanical Garden of Georgia includes a laboratory for education, research, and recreation for not only the University but for the citizens of Georgia. There are specialized theme gardens and collections, nature trails, as well as a tropical conservatory. Many brides in Georgia have had their weddings held among the beautiful flowers in the conservatory. 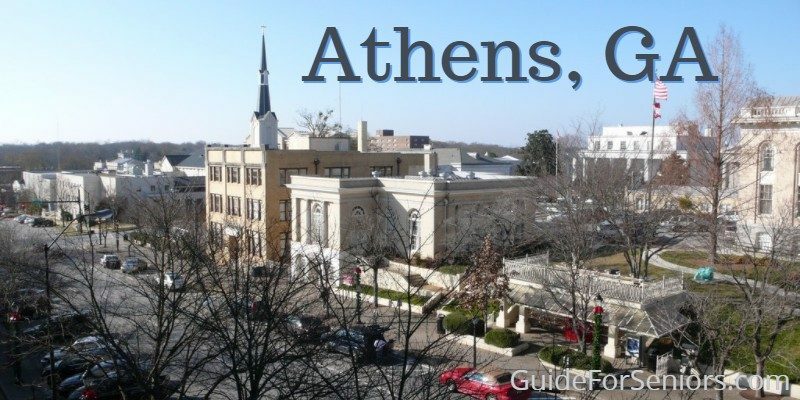 ARTinis is an Open Art Studio, Gallery & Lounge located in downtown Athens. Everyone can paint even if we are not all as gifted as DaVinci. We certainly can have more fun than he ever did. ARTinis will teach you how to paint a masterpiece. It only takes a few hours and the comradeship is infectious. Sometimes you need to relax and just play a game. 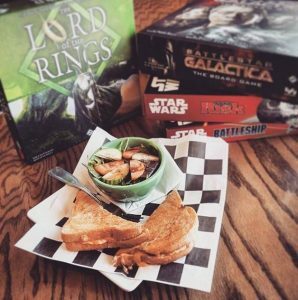 The Rook and Pawn is a board game cafe for all ages. Have a beer and a sandwich as you try to outwit your competitors. You will find that you really do enjoy yourself. Sandy Creek Nature Center features 225 acres of woodlands and wetlands. There are over 4 miles of trails for the outdoor enthusiast. It is a great location for an afternoon or weekend. The Georgia Theater has been a landmark in Athens since 1889. Perhaps it was not always the Georgia Theater but to those who attended the University of Georgia, it was the only theater in Athens. The theater hosts old and new artists attempting to make their mark in the music industry in Athens, Georgia. If you are lucky you can catch the upcoming songwriter, Nicholas Mallis, performing at the Theater. The Georgia Museum of Art originally opened to the public in the basement of the old library on North Campus of the University of Georgia. Museums are charged with the collection, preservation, and exhibition of objects valuable to art, history, and science. Museums are also educational institutions and it is located on the campus of the University of Georgia in the Performing and Visual Arts Complex Campus. The Georgia Museum of Art is the official museum of the State of Georgia. It is free to the public and houses permanent collections consisting of American Paintings. Over 10,000 objects are housed in the museum. Trial Gardens of UGA is located behind Snelling Hall on the campus of the University of Georgia. It is a colorful garden that is full of unusual as well as familiar plants. The Gardens receive plants and seeds from plant breeding companies, as well as plant nurseries, individual growers, and gardeners from all over the world. Although the major function of the garden is teaching and research, all of the plants grown at the gardens go into the plant trial database. The crops are evaluated for tolerance to heat and humidity, ease of propagation, resistance to disease and insects, greenhouse production time, and cutting efficiency. The garden is planted in April and May and the plants who “make the cut” will be nationally distributed. No fee is necessary for entry to the gardens, it is available for everyone to enjoy. It is doubtful that there is such an odd landholder anywhere in the world. The tree that owns itself is located at the top of the steep hill where Dearing and Finley Streets intersect. It is said that the tree was deeded to itself in the early 1800’s. Luckily there are no property taxes levied on the property. 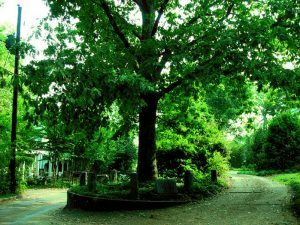 An original deed has never been located but Athens recognizes the tree’s title to the land. Another unusual landmark in Athens is the Iron Horse. 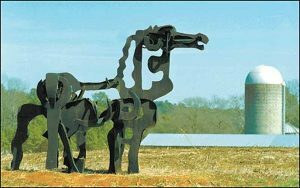 Legend has it that a visiting artist in 1954 constructed the iron horse as contemporary art. The students at the school did not appreciate the abstract sculpture. Consequently, a member of the Horticulture Department, L. C. Curtis, obtained the horse and moved it to his farm about 25 miles from UGA. Although the school attempted to get the sculpture returned many times, it was not until the University purchased the farm for a plant sciences farm that the statue again became University Property. These 10 outings are just a small sampling of what Athens, Georgia has to offer. Try a football game during the season or just walk around North Campus and admire the University. The landscape stays the same but every day things change.